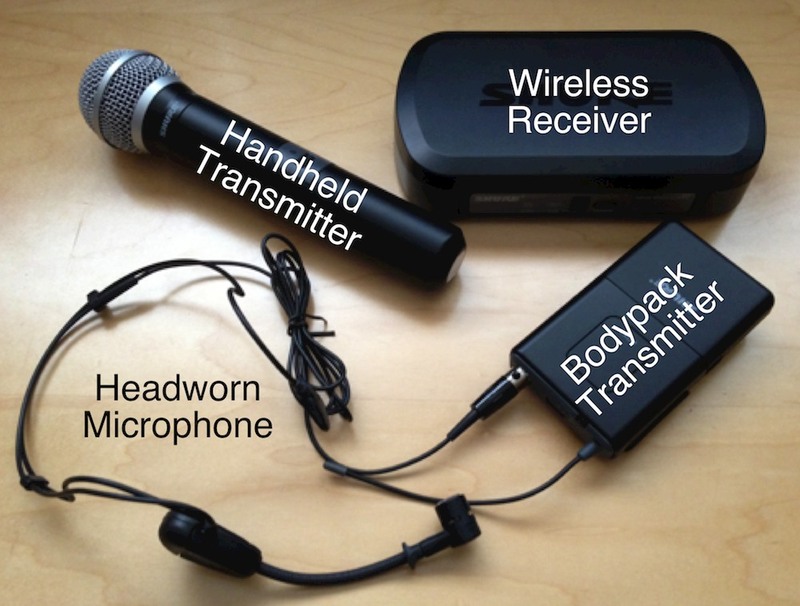 Here is a quick primer to help you identify wireless microphone system components. The model number and frequency are very important when ordering a replacement part. A mismatched receiver and transmitter will not work together. Wireless Microphone Systems consist of a Transmitter and Receiver. Both are set to the same Radio Frequency. Transmitters are available in Handheld or Bodypack formats. 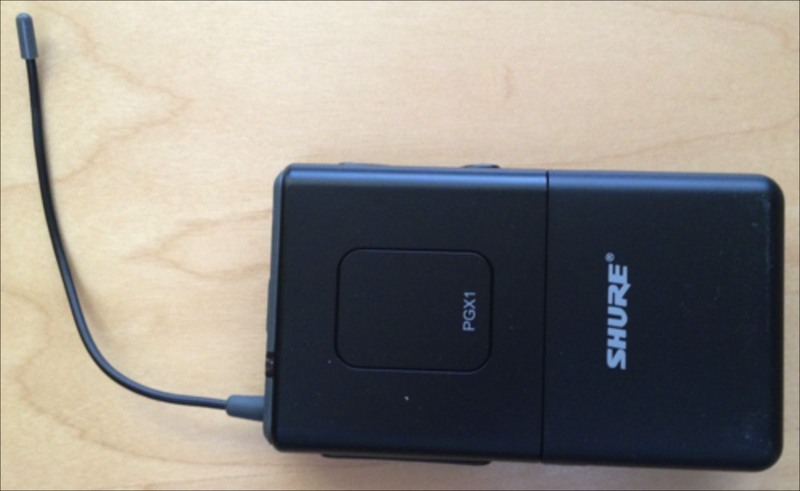 Bodypack transmitters can be used with Headset and Lapel (Lavalier) Microphones, and Instruments (Guitar). The Microphone Capsule is on the top of the Handheld Transmitter. 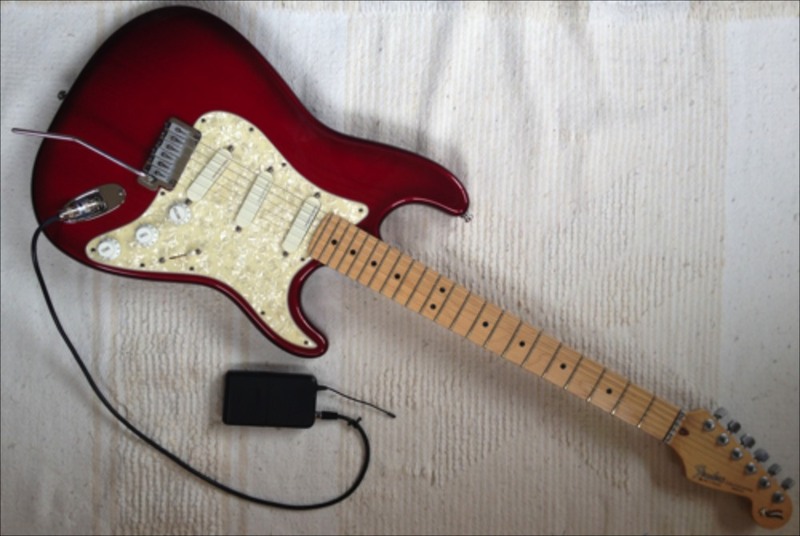 Here is a Bodypack Transmitter using an Instrument cable connected to an electric guitar. Some microphone Capsules can be unscrewed from the transmitter. The microphone capsule's model number is: PG58. Do no confuse the capsule model number with the transmitter model number. The Battery is shown with the battery cover removed. Remove the battery to expose the Radio Identification Label. Some handheld microphones have the frequency and model numbers on the outside. Here is a close up of the Identification Label. 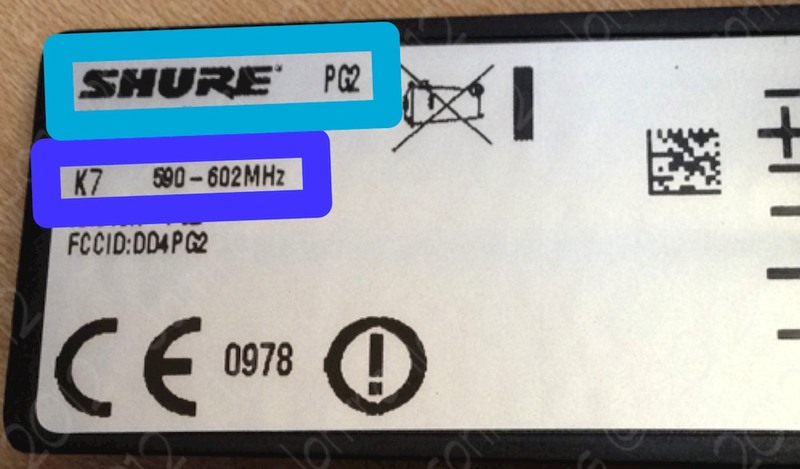 This is a Shure PG2 transmitter, using the K7 frequency group. The K7 frequency group uses radio frequencies from 590 to 602 MHz. Here is a typical Bodypack Transmitter. The identification label is on the back of this bodypack transmitter. Some models have the label inside the battery compartment. 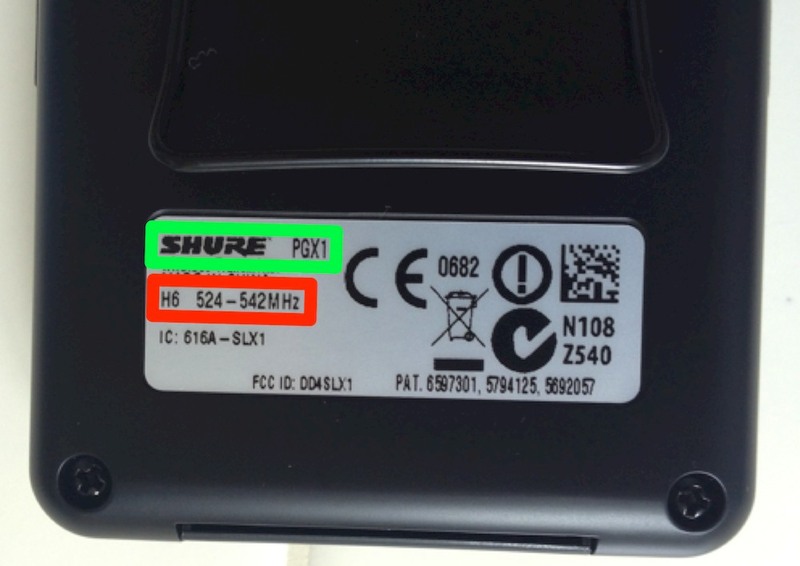 This is a Shure PGX1 transmitter using the H6 frequency group. The H6 frequency group uses radio frequencies from 524 to 542 MHz. The part number for this bodypack transmitter is: PGX1-H6. The microphone element , i.e. headset or lavalier is ordered separately. The identification label is on the back of this receiver. Some receivers have this information on the front. 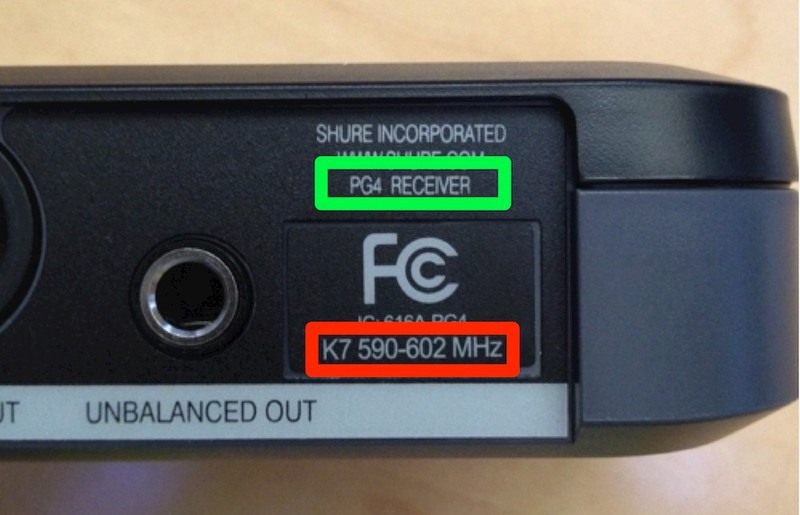 This is a Shure PG4 Receiver using the K7 frequency group. 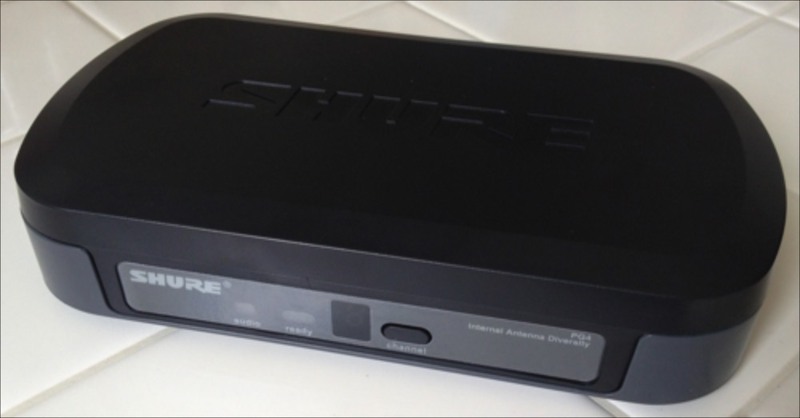 The Part number for this receiver is: PG4-K7.